Actually it’s already spring, but in the north of Europe snow came back!This treehouse is the icon of these days! A kids-treehouse with different windows and with different point of views and a slide who takes you back on the ground. 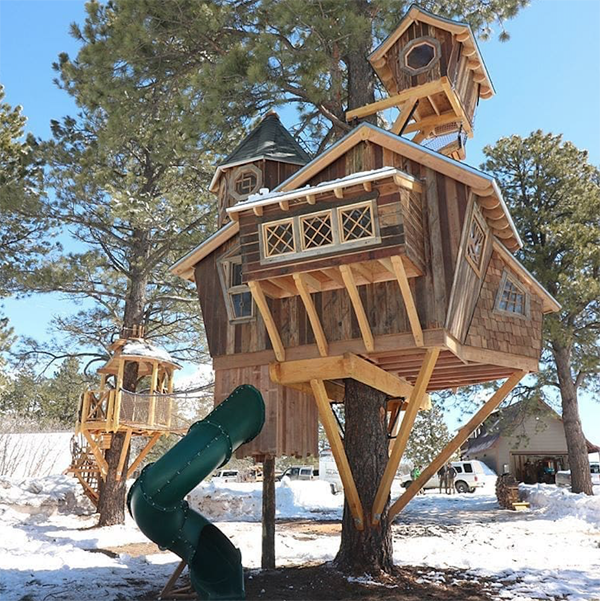 This treehouse has been built by the Treecraft Design Build in Colorado.